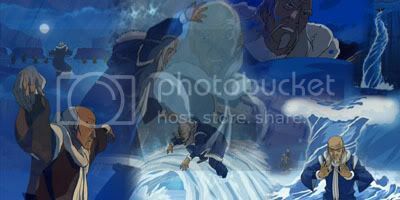 When Ty Lee disabled Azula in the Mai vs Azula fight i nearly fell out of my Chair i was like O_O! even when i dont see it for long periods of times.. it keeps me coming back for more. Yeah, he's ok, just muscle really. pip pip, tally ho, what ho? Does anyone find it funny that in the previous chapter, The Firebending Masters, Sokka jokes around about Zuko jumping into a volcano... Then this chapter is both him and Zuko going into one? GREAT ONE!!!!! i loved this one zuko and sokka working togeather sweet!!!!!!!!! I'd say this is the chapter most people started liking Zuko a bit more. The Boiling rock was one of the most incredible episodes EVER!!! Yea the boiling rock episodes were pretty awesome. I liked zuko and mai a little more cause mai betrayed azula and helped save the day. I think that mai and ty-lee finally had the guts to fight against Azula. She can't control them with fear anymore. I know. I was surprise when this happened ^. I love seeing mai in action, and this is one of the episodes they do it in. Also, azula flies a lot. Couldnt Azula just have shot lightning at the gondala line and broken it? Was that fight necessary? Last edited by Renori Fa on Mon Nov 03, 2008 5:00 am, edited 1 time in total. yes poi, because she wanted to actually defeat zuko. if it was just sokka she probably would have, but since zuko was there too she wanted to actually beat him...wait wasn't the captain of the guards on the thing too?